Christened after the ultimate encyclopedia of love from the land of ancient cultures, Kamasutra incense sticks are perfect for sketching a night of passion and romance. The pure and sublime aroma can lead you into an exotic world of eternal love and help you discover your own Kama sutra. 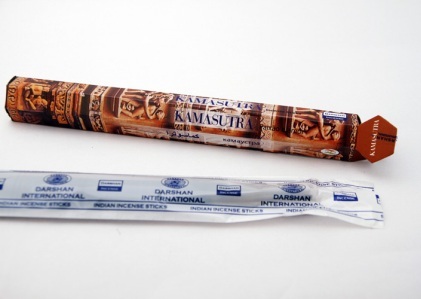 Discover the fragrance of Kama Sutra incense extracts, Blended with special aromatic compounds - 20 sticks hand rolled in Bangalore, India by Darshan.